Country fans "looking out for #1" have looked to the right place! 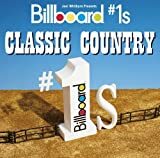 Here are 30 #1s from the '50s to the '80s: I Walk the Line Johnny Cash; I Fall to Pieces Patsy Cline; On the Road Again Willie Nelson; Stand by Your Man Tammy Wynette; Act Naturally Buck Owens; King of the Road Roger Miller; The Gambler Kenny Rogers; Four Walls Jim Reeves, plus Haggard, Twitty, Dolly Parton, Loretta Lynn and more. Justin Bieber checks out a few sites around The Holy Land Israel earlier this week. The 17 year-old musician visited the Capernaum on the northwestern shore of the Sea of Galilee, where he visited the archaeological excavations but wasnt too pleased with the paparazzi that were tailing him. I want to see this country and all the places Ive dreamed of and whether its the paps or being pulled into politics its been frustrating, Justin posted on Twitter. Justin Bieber wants to be an actor. The Baby singer who had a guest role on US crime show CSI Crime Scene Investigation earlier this year has caught the acting bug and definitely wants another role in front of the camera. He said I definitely want to do more acting, and further my career in that area, thats something I would love to do. However, despite having a talent for following a script, the 17 year old heartthrob insists his recent documentary film Justin Bieber Never Say Never which chronicled his ascent to pop stardom didnt involve any acting at all and says a scene where his grandmother tells him to tidy his room was genuine. Speaking on The Kyle Jackie O Show on Sydneys 2Day FM It wasnt scripted whenever Im at my grandmothers she always tells me to clean up after myself, especially when Im at home, but Im not at home that often, I really dont have a room at this point, its just kind of travelling all the time. And although he wants to branch out in his career, Justin is still concentrating on his music and hopes to secure some new collaborations. He said I would love to perform with Stevie Wonder or Beyonce. Now that Justin Bieber has conquered much of the modern world, can he claim a Webby Award next His nomination for Justin Bieber Takes Over Funny or Die competes among the online film and video categories for best comedy: individual short or episode. Its up against Between Two Ferns, which may have star power, but, frankly, is stupid just Steve Carell mocking Zach Galifianakis for being fat. Its really thin on humor. Ditto the nominee titled Kenny Gets Signed by K Swiss. Dont even bother to watch it. However, Bieber faces tough competition from a spoof of Inglourious Basterds titled Grammar Nazis and the Onion News Networks Police Slog Through 40,000 Insipid Party Pics to Find Cause of Dorm Fire. Theyre both hilarious. Winners will be revealed on May 3.